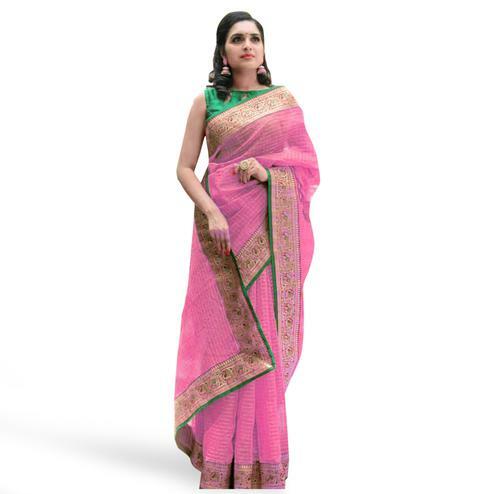 Get others amazed of your ethnic looks wearing this pink - beige saree. 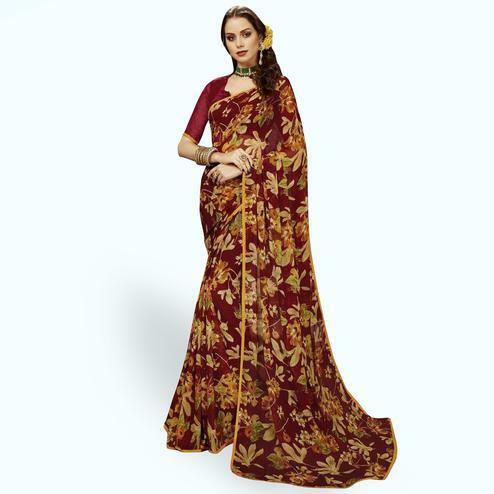 This georgette saree look has been enhanced with its floral & chevron patterned prints design. 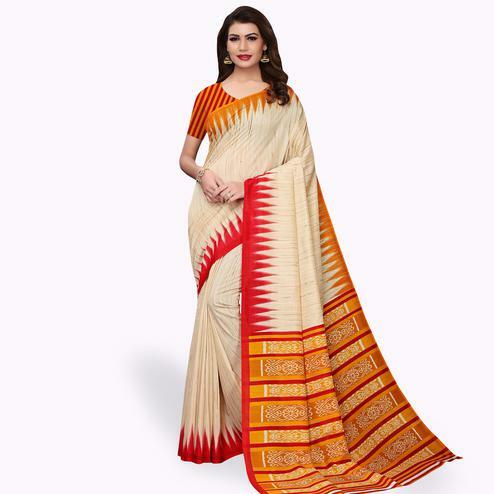 It's a perfect saree to wear for casual parties, functions & social gathering. 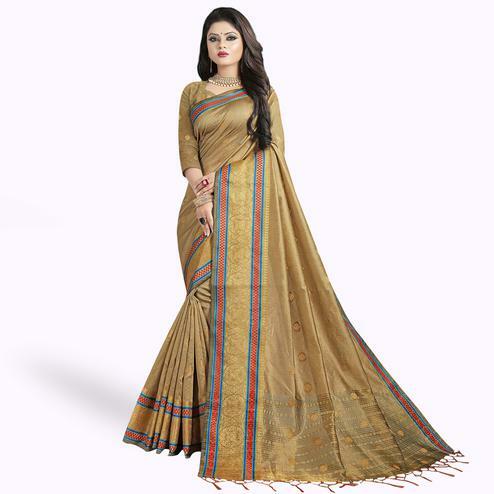 It comes along with matching fabric printed unstitched blouse piece, which can be stitched as per your style & requirement.